Background/Purpose: Osteoporosis is a well-known complication in patients with rheumatoid arthritis (RA). The FRAX tool is an online computer-based algorithm developed by WHO to evaluate the 10-year risk of an osteoporotic hip fracture and major fracture (hip, clinical spine, proximal humerus or forearm fracture). Clinical risk factors include age, height and weight and dichotomized risk factors comprising prior fragility fracture, parental history of hip fracture, current tobacco smoking, ever use of long-term oral glucocorticoids, RA, other causes of secondary osteoporosis and alcohol consumption. Bone mineral density (BMD, g/cm2) of the femoral neck can be optionally included as a risk factor but FRAX does not provide recommendations on which side to measure BMD. The usability of fracture risk assessment without BMD has been evaluated on group level, but the agreement between fracture risks assessed with and without BMD in individual patients has not met much attention. The objective of this study was to investigate the intra-individual agreement between 10-year fracture risk calculated with and without BMD in patients with RA. Methods: Data from 50 RA patients registered in the Danish registry for biological treatment in rheumatology (DANBIO) were used for analysis. BMD of the left and right femoral neck had been measured using a Lunar iDXA-scanner (GE, Lunar) by experienced laboratory technicians. The intra-individual agreement between fracture risk assessed with and without BMDs was examined using the Bland-Altman method. 95 % lower and upper limits of agreement (LLoA and ULoA) were estimated as the mean difference (bias) in percent points (pp) between paired measurements ± 1.96SD (2.5 % – 97.5 % range for side comparison due to screwed distribution). Student’s t-test was used for comparison on the group level. Results: Mean age was 63.6 ± 11.7 (range 40-50) years, mean disease activity score (DAS28-CRP) 3.3 ± 3.5 and the mean femoral neck T-score -1.4 ± 1.2. 64 % of the patients were on oral steroids, 50 % on DMARDs and 46 % on biological treatment (±DMARD). The mean 10-year risk of a major fracture and a hip fracture calculated with BMD was 22.9 ± 15.8 % and 8.5 ± 10.8 %, respectively. The LLoA and ULoA [bias] for major fracture risk calculated with BMD (side with lowest value) and without BMD were -14.5 pp and 20.4 pp [2.93 pp, p < 0.05]. For hip fracture risk, LLoA and ULoA were -14 pp and 23.2 pp [4.6 pp, (p < 0.001)]. When calculating fracture risk based on the side with lowest versus the highest BMD-value, the LLoA and ULoA for hip fracture were 0 pp and 6.8 pp [0.8 pp, p < 0.001] and for major fracture 0 pp and 7.3 pp [1.0 pp, p < 0.001]. There was an overall trend of a greater bias, the higher the FRAX fracture risk but the bias was lower and LoA more narrow in osteopenic and osteoporotic patients compared to patients with normal BMD. Conclusion: The FRAX 10-year fracture risk estimated with and without BMD may disagree to a substantial degree in individual RA patients and should therefore not be considered inter-changeable in the daily clinic. Choice of measurement side may also impact the fracture risk assessment, especially in the individual patient. Disclosure: O. Rintek Madsen, None; K. D. Elde, None. Rintek Madsen O, Elde KD. FRAX Fracture Risk in Rheumatoid Arthritis – Assessments with and without Bone Mineral Density May Lead to Very Different Results in Individual Patients [abstract]. Arthritis Rheumatol. 2016; 68 (suppl 10). 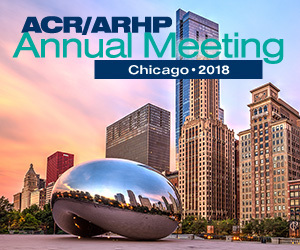 https://acrabstracts.org/abstract/frax-fracture-risk-in-rheumatoid-arthritis-assessments-with-and-without-bone-mineral-density-may-lead-to-very-different-results-in-individual-patients/. Accessed April 21, 2019.